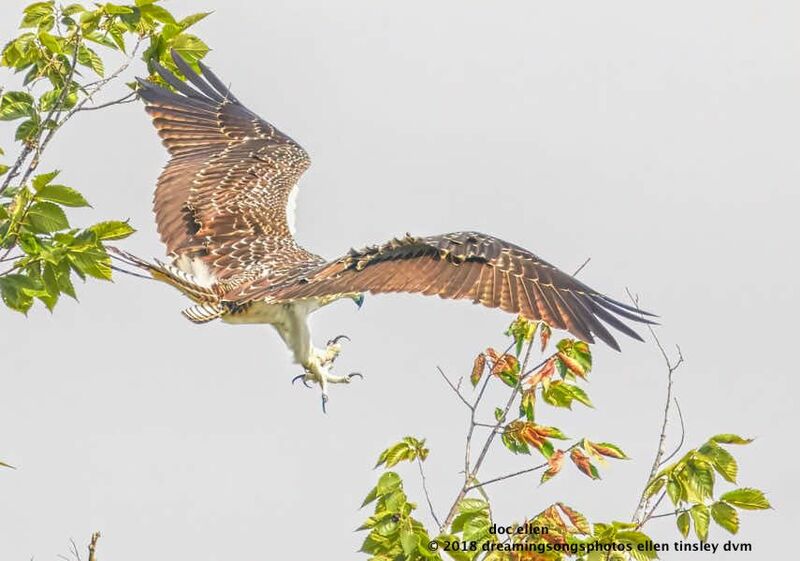 The osprey nest in Ranger Cove has 2 fledglings – Piper and Broken Feather. I had expected Broken Feather to be the first to fledge as she had been the most active in trampolining and muscle building. Her brother Piper fledged several days before she did. I did not see Broken Feather fledge – it was almost 2 days before I got back to the Cove and found her in the air – kinda. All fledgling raptors do a lot of crash landings as they learn to fly so I wasn’t too concerned that she was having some troubles. Then over the past two days I realized that her turns were erratic and she had to fight hard to gain altitude back into the nest. Broken Feather finally got within good range of my lens and I could see her problem. She is missing a large chunk of the the right hand side of the midpoint of her tail feathers. The youngster has a LOT of grit. She keeps working at the flying. PS: I had originally called her Bossy, but you can see why I changed her name. Please keep her in your thoughts and I will do my best to post her progress. 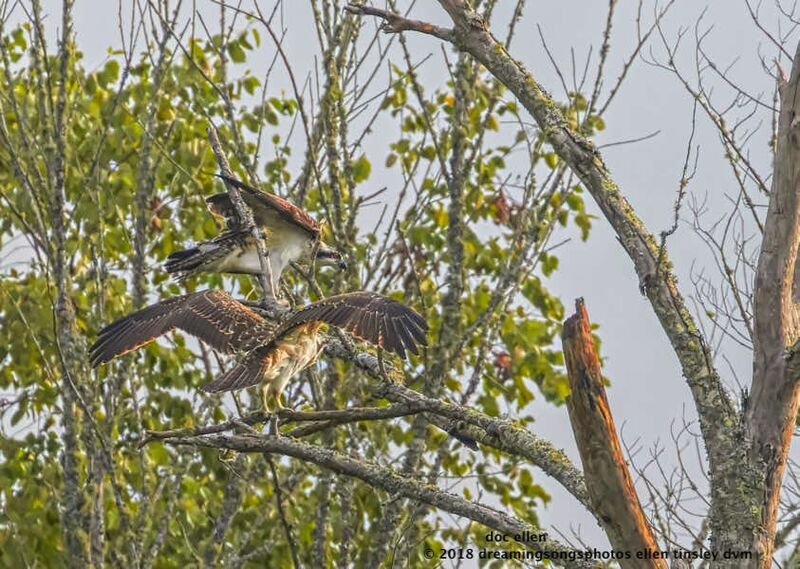 Here is Broken Feather (the upper osprey) and her brother Piper (the lower bird). Here you can see the section of tail feathers she is missing. Note also the white “rivets” at the ends of her wing feathers – typical for a juvenile osprey. In this photo Broken Feather looks pretty normal. She is showing the typical red-orange juvenile osprey eye. At attempt at a landing and you can see the disrupted tail feather position. 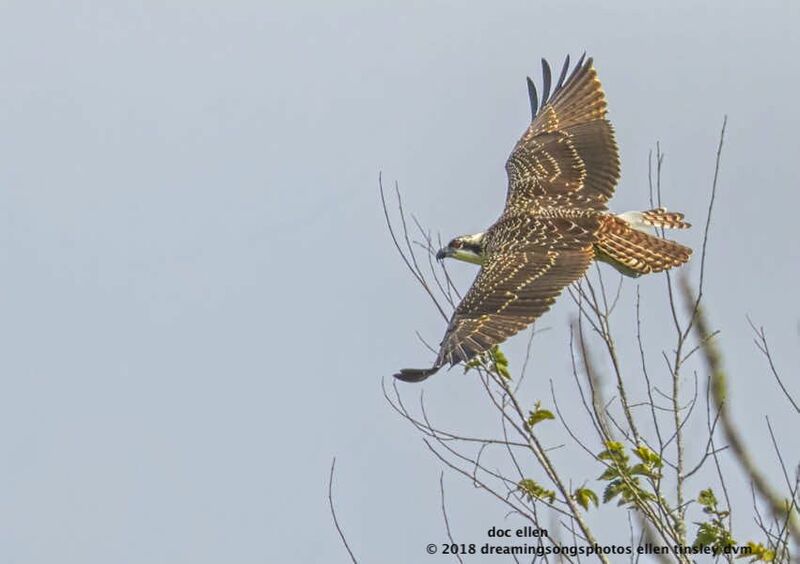 Posted in birds, Jordan Lake, Jordan Lake State Park, ospreys of Jordan Lake, photography, raptors, wild birds and tagged as Jordan Lake, Jordan Lake State Park, osprey, osprey fledgling, osprey flight, ospreys of Jordan Lake, raptor. 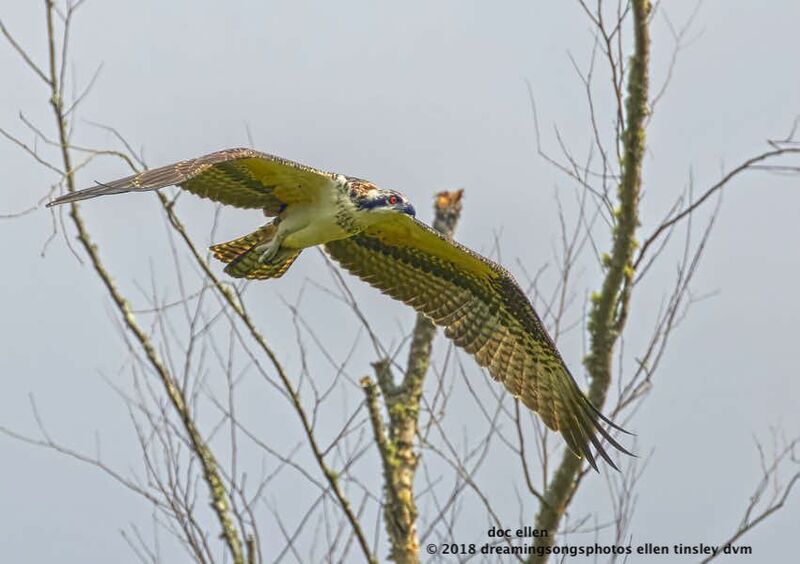 Ospreys are my favorite raptors – they are beautiful, graceful and have a lot of grit. I hope she makes it!